At ROS Electric LLC, we know that deciding on a Video Surveillance solution for your home or business can be overwhelming. Who should you trust to protect your most valuable possessions? Let our team of security experts at ROS Electric LLC custom design a security system that will give you peace of mind at home, at work and wherever life takes you. Our consultation is absolutely FREE. The first step to protecting your home and business is to carefully investigate and evaluate your needs. With a close eye on containing costs, ROS Electric LLC will design the most effective CCTV and Video Surveillance System for those needs. Whether it is a basic, single-camera monitor installation; DVR/NVR IP recording; or high-end, fiber-optic matrix switching systems, we at ROS Electric LLC will install your customized surveillance system with expertise and efficiency. 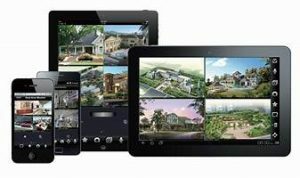 When selecting cameras for your video surveillance system, where do you begin? With over 100,000 different cameras on the market today, how do you select the right one for your application? The traditional means of viewing recorded video, the display or monitor is used today in millions of commercial and residential applications. 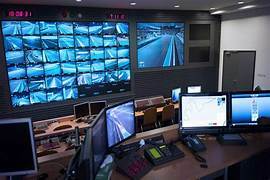 Either as stand alone or through matrix switches, many security conscious customers deploy several monitors viewing hundreds of surveillance cameras simultaneously. Today many of our customers demand multiple platforms for viewing their recorded video. Computers and smart devices are the most common. Through video analytics (in the camera or recording device), motion in the camera’s field of view can be detected and a video of the event can be immediately emailed to you. This technology can turn a video CCTV and surveillance system into a perimeter intrusion system. Are pan, tilt, zoom (PTZ) cameras better than fixed cameras? Pan, tilt, zoom cameras work well in the correct application. Though more expensive than fixed cameras, a well positioned PTZ camera, through video analytics can cover the area of three or four fixed cameras with the benefit of zoom viewing. What do I need for a complete CCTV system? 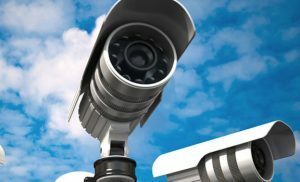 A CCTV System consists of a camera(s), recording device and a platform to view video. A complete CCTV System matches the components listed above with your video surveillance objectives to give you the system to keep your employees or family safe. How does an Infrared day night camera work? A thermographic camera (also called an infrared camera or thermal imaging camera or infraredthermography) is a device that forms a heat zone image using infrared radiation, similar to a common camera that forms an image using visible light. Infrared cameras are not all the same, again the correct camera selection is key to achieving your video surveillance objectives. Infrared or night vision field of view varies by camera. A pleasure doing business with! The work was completed just as agreed to. They did a great job working around our schedule so to not interrupt our production floor. The project was completed on time and within budget. A real professional company and a pleasure doing business with! The job went very well and there was great communication between ROS Electric and myself. No corners were cut and I am truly satisfied. I will definitely use them again on my next project and recommend them to anyone. They have always been very reliable and fair in their pricing and I highly recommend them to anyone looking for a good electrical contractor. With over two decades of combined experience in the electrical contracting and cabling industry, ROS Electric has earned a reputation all its own. Our commitment to the highest standards and customer satisfaction has always been our guiding principle. © 2015 ROS Electric, LCC. All rights reserved.